NEW YORK, Sep. 6, 2011/– Derek Lam, the designer and brand known for its understated luxury, refined cuts, and bold silhouettes, receives the distinguished title of “Mercedes-Benz Presents” designer for this season’s Mercedes-Benz Fashion Week Spring/Summer 2012 Collections, which kick off this week. The Derek Lam runway show is being held on Sunday, September 11, 2011 at Lincoln Center, home of Mercedes-Benz Fashion Week. As part of the Presents program and in celebration of Lam’s new diffusion collection, 10 Crosby Derek Lam, Mercedes-Benz and Lam are searching for this season’s “Crosby Girl” to go along with the season’s must-have accessory, the C63 AMG Coupe. During Fashion’s Night Out, Derek Lam and casting director James Scully, will host an open call at the Derek Lam flagship store on Crosby Street. Photographs of the most stylish participants will be incorporated into a display themed “Let Me C Your Style” that can be viewed and voted on by all attendees entering the lobby tent of Mercedes-Benz Fashion Week located at the heart of Lincoln Center. For more information visit, www.LETMECYOURSTYLE.com. Derek’s vision for his label is to create clothes that are both luxurious and wearable, with a feminine but unfussy beauty about them. His touch is especially sophisticated: modern but never cold, fantastical but always rational. He skillfully manages the combination of refinement and sensuality, with exceptional fabrics and highly perfected detail. 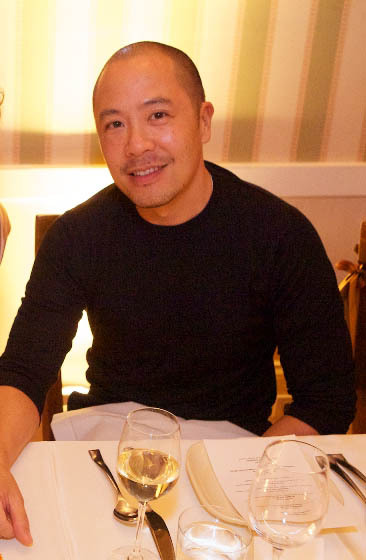 Derek Lam joins a prestigious list of past “Mercedes-Benz Presents” designers including Herve Leger by Max Azria, Carolina Herrera, Monique Lhuillier, Badgley Mischka, Narciso Rodriguez, and CHADO Ralph Rucci. Mercedes-Benz Fashion Week Spring 2012 Collections is taking place in New York City at Lincoln Center from September 8-15, 2011 with more than 95 designers presenting their Spring 2012 collections including Derek Lam, Diane von Furstenberg, Carolina Herrera, Vera Wang, Michael Kors, Tommy Hilfiger, Nicole Miller, Charlotte Ronson, Rebecca Minkoff and Betsey Johnson.